Vancouver is such a beautiful city and it would be a shame not to spend a day or two before or after your Alaska cruise. Here’ some of my favorite spots. Just minutes from downtown Vancouver, Capilano Suspension Bridge Park is a must-do! The sceneryis beautiful, with 3 different vantage points from the bridge, treetops and cliff walk. 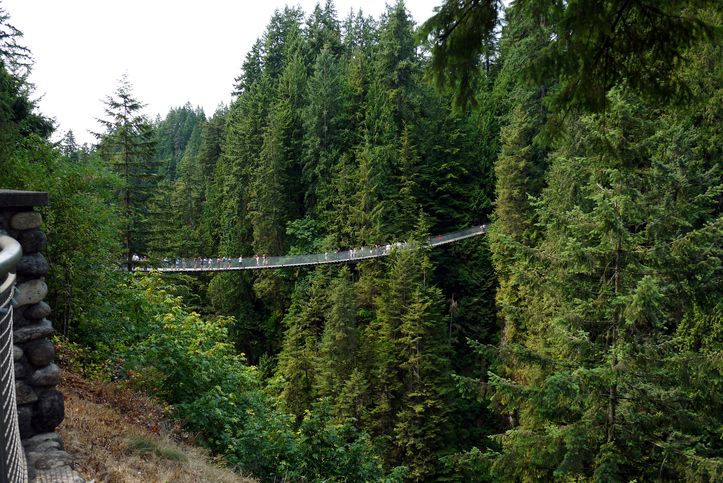 The 450 foot-long Capilano Suspension Bridge soars 230 feet above the Capilano River. You can also get a bird’s eye view of the rainforest via Treetops Adventures or traverse the dramatic Cliffwalk, a 700-foot long, 300-foot high walkway anchored to the east face of Capilano Canyon and suspended out and above the river. Exhilarating! This is Alaska cruising season and most of these cruises embark from the city of Seattle or Vancouver. Both are beautiful, exciting cities worthy of a pre-cruise stay. Today let’s take a closer look at cruising from Seattle, Washington and the places that shouldn’t be missed if you have the time to spend a day or two pre-cruise. 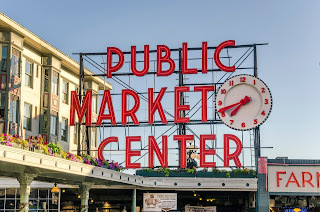 Pike Place Market: One of the oldest continuously operating farmer’s markets in the country, this place has been around a while! Hard to believe it came from such humble beginnings; eight farmers that gathered to sell their crops in August of 1907. Today the market is a great for site seeing, shopping, eating, and people watching with approximately 500 shops, restaurants, and vendor stalls spanning over nine acres. If you want to know a bit about the market’s history there are several companies that offer specialized in tours.